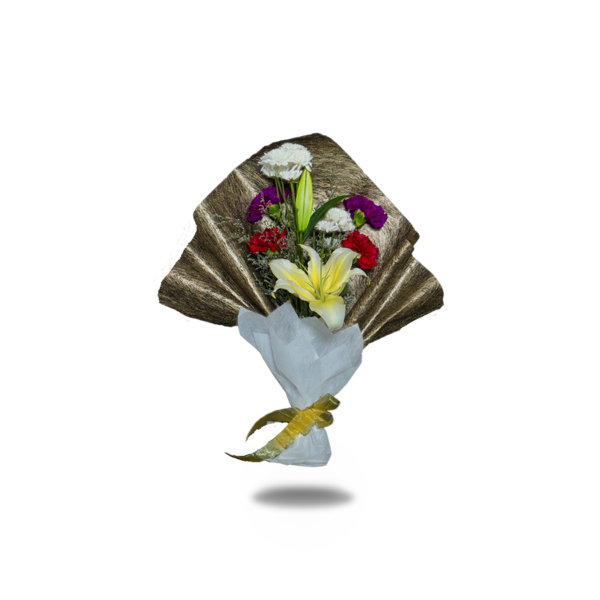 Show your appreciation in a most stylish way with this heavenly bouquet today! Our breathtaking bouquet – Blooming Heaven – is ready to make your home or office a garden of Paradise from the moment it arrives. 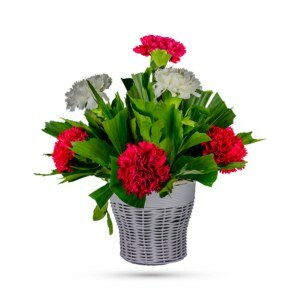 White button carnations, purple and red carnations, white Asiatic lilies are styled with green leaves which form a fragrant bouquet with delicate touches of fanned gold wrapping paper, white fiber paper and a yellow bow at the bottom. 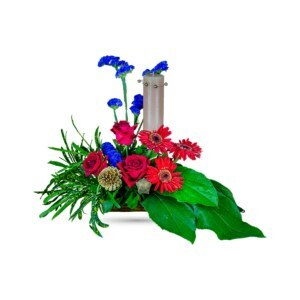 Traditional in its own way, this arrangement creates a sense of courage and bravery. As visually stimulating as this is, it is available for any events like – Father’s Day, as a Housewarming gift or even a Business gift. Send it today to make someone’s day simply by ordering it online on our website. 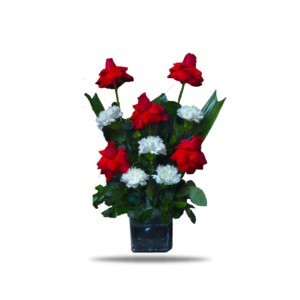 May your thoughtfulness be warmly remembered with the doorstep delivery of this bouquet from our website.